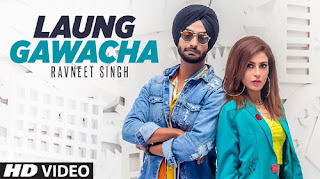 Laung Gawacha Lyrics – Ravneet Singh: This is a latest Punjabi song sung and written by Ravneet Singh. Its music is given by Vee and video is directed by Team DG. We do our best to provide you with the correct lyrics. However, Sometimes we make mistakes. So If you find any mistake in the lyrics, Please let us know in the comment.